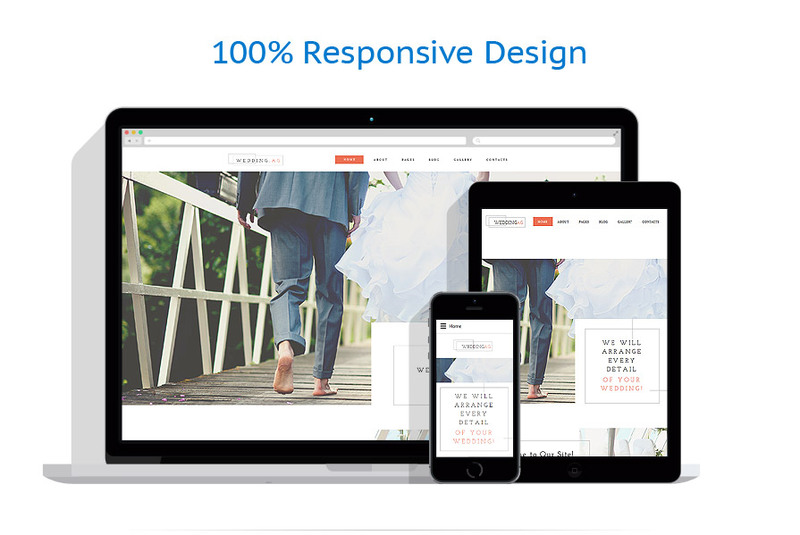 Wedding AG Joomla Template is a great choice for a modern portfolio website. The template has an impressive set of useful features to help you run your online business smoothly. There’s a social login option, MegaMenu, parallax scrolling, theme color switcher and lazy load effect to name a few. The lightweight ethereal design of this elegant Wedding Joomla Template will help you build a steadfast portfolio website in no time. Its layout is based on creatively adjusted content blocks framed by delicate thin outlines. The palette and typography are carefully picked to deliver a feel of elegance and festivity to your visitors. Being very flexible, its design can be easily tuned up by replacing the sample images by your own the same applies to the logo, which can be changed in a couple of clicks. Choose this responsive Joomla template if you want to grow your customer base, boost your online visibility and create a positive image for your wedding agency.